A short bio to get you started: My name is Liselotte Foverskov and I’m a System administrator at Danish Ship Finance in Copenhagen, Denmark. 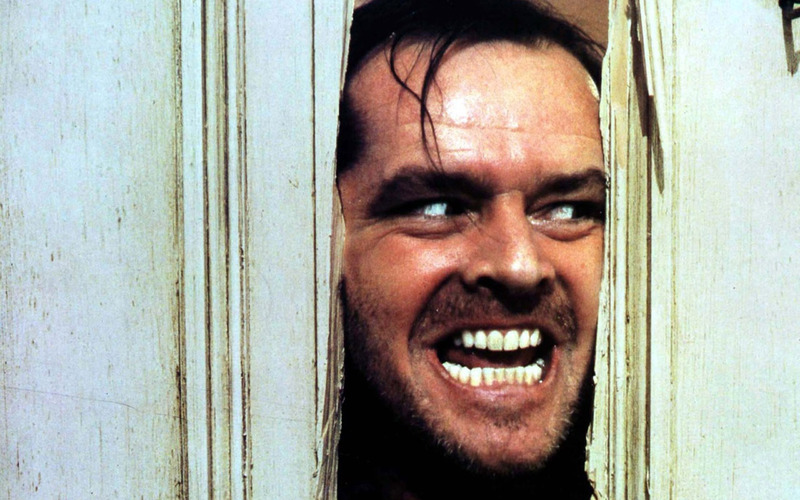 I’m a VMUG Leader in Denmark, vExpert, PernixPro, Psychotherapist and social introvert. I’ve attended 8 VMworlds starting in 2006 in Los Angeles. I just got back from a great experience at EMC World. Let me start by congratulating EMC for a very successful event. I can’t imagine how much energy and hard work is used in getting everything running so smoothly. I’m happy I get to share my experience with all of you. Thank you so much for letting me write on your blog, Jane. EMC World this year was held at The Venetian, Las Vegas (same venue as VMworld 2008 and 2011). If you haven’t been there, this place is HUGE. The walk from my hotel room to the General session was 1 km and that’s in the same hotel. They have a mini Venice complete with St. Marks Square. I don’t think I have ever walked this much in my entire life. My Samsung Galaxy s5 has a Pedometer, and it shows I have walked 51 km in 4 days. I’m ready to do a Marathon! What makes that even stranger is I had days I didn’t even go outside for a breath of fresh air. The look and feel of the conference is pretty similar to VMworld. EMC World is a smaller conference (*wink wink*) with around 13,000 attendees; compared to VMworld which had more than 22,000 attendees in San Francisco last year. There are Breakout sessions, General Sessions, Super Sessions, Solutions Arcade, Hands on Labs (vLabs) as we know it from VMworld. I liked that EMC World had fixed time slots for breakout sessions. That made it easier to plan your day. Sometimes at VMworld it is hard to reach your next session or priorities sessions as they start at different times. At VMworld the HoL area is really big and very popular. Usually there is a line to get into the HoL area. 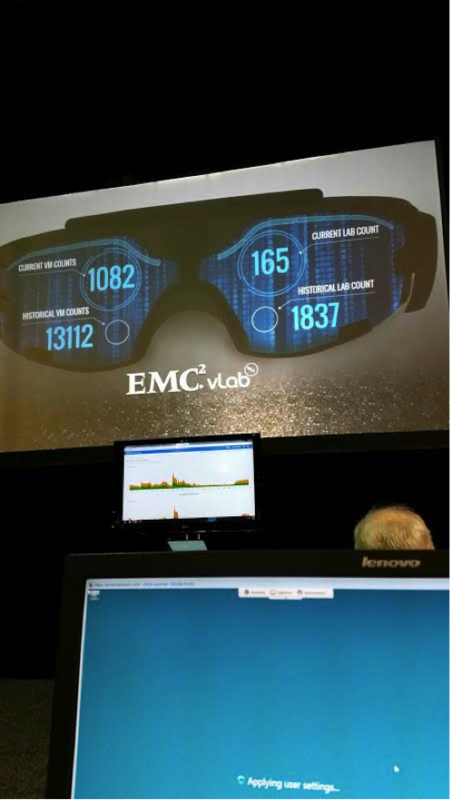 EMC World has vLabs – but they are not as popular as at VMworld. I can’t complain as it was to my benefit. I didn’t wait more than 1 minute to get started on my vLabs. I wonder why EMC World attendees don’t benefit more from this great offer, to have hands on experience with new products? I dedicated Wednesday to do a lot of Labs and unfortunately vLabs had some networking issues. I had to restart my labs several times – take a break and come back. As a VMUG Leader it was pretty interesting to be the new girl. I did feel very welcome at EMC World and I got to meet up with people I know from Twitter together with new and old friends. I realized I take a lot of things for granted when I attend VMworld. It might not come as a surprise that what we have in VMUG is unique. We are so very lucky to have a VMUG headquarters to support the VMUG Leaders in reaching new members, arranging lunches, meet ups and receptions during the conference. 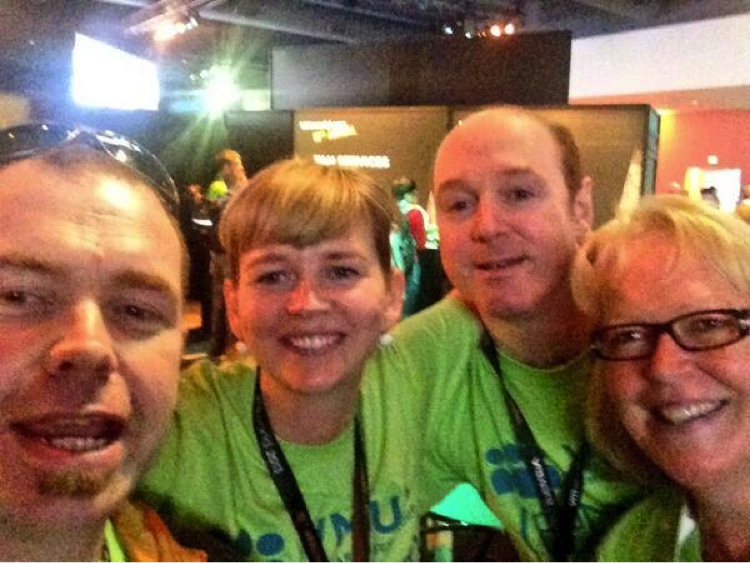 VMUG Leaders together with members make a lot of noise on Twitter during VMworld. There is always something happening. EMC Denmark was very kind to invite all Danes to join them for a beer at a bar every night which was a really nice gesture, and gave the opportunity to network with Danish EMC peers. I hope when you are a newbie at VMworld that you know where to find your local VMUG and where to go to find the international VMUG. We always have a booth at the Solutions Exchange and usually get a shout out during the keynote. After being the new girl, I’m going to make an even greater effort at welcoming new people to the VMUG party. The whole experience of conferences like these is so much better when you are amongst friends. We (the whole community) have a great responsibility not to be closed off. Everybody is welcome to join in and socialize. Really. We want you to show up! The vendor area seemed smaller and quieter than VMworld. It is of course focused on EMC products and EMC booths took a lot of room at the Solutions Arcade. I’m not sure I liked that. One of my favourite things at VMworld is walking around talking to vendors and all the smaller startups. Wednesday evening we had a ‘Customer Appreciation Party’ from 8 p.m. to 10 p.m. The band of the evening was Imagine Dragons. They did a great performance and everybody was singing along. We should’ve had more than 2 hours to party. This is an opportunity to celebrate a great event! VMworld 2013 in San Francisco was at least 4 hours and featured Imagine Dragons and Train. That was without a doubt the best VMworld party E.V.E.R! I feel very lucky to know Jane and the rest of the UK Leaders very well. We started planning our conferences in the beginning of 2014. This year we’re trying to do something new, we’ve planned our conferences two days apart and hoping this will make it easier to attract all the international speakers. Let me tell you this – I’m a professional stalker. This is not to scare you off or anything (Mental picture: Jack Nicholson in The Shining!) but getting speakers is not just always an e-mail away. At EMC World I attended Area 52 keynote on Monday featuring the ever passionate Chad Sakac together with vSpecialist Jonas Rosland. I was early to get one of the front row seats. When the keynote ended I threw myself up in front of the stage – but Chad was nowhere to be found. I hung around the area like a teenage girl at a Justin Bieber Concert. I was in luck because 5-10 minutes later Chad came out and I jumped in front of him to say hi. I was lucky he recognized me from our 2013 Nordic VMUG conference. This guy is always super friendly and loves the VMUG community – and we love him! Chad really wants to speak at both conferences and I’m hoping his schedule will allow his visit in November 2014. Fingers crossed. Jane and I will keep you posted. 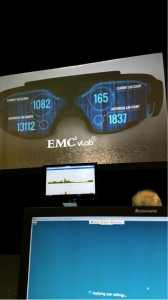 This was my personal experience of attending EMC World for the first time. 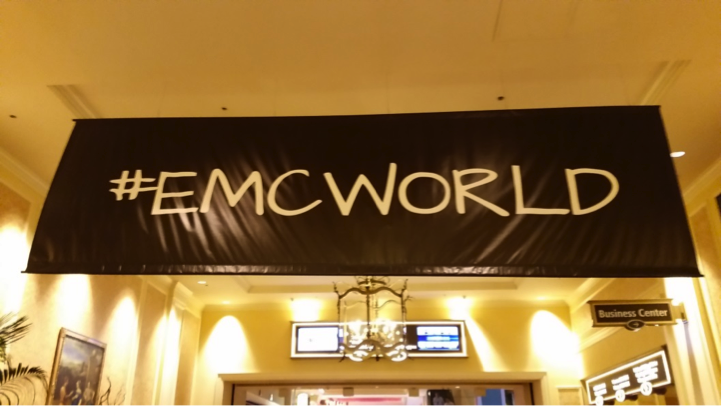 How was your first EMC World or VMworld? This entry was posted in vExpert, VMUG, VMworld, Women of Purpose and tagged Chad Sakac, EMC World, Jonas Rosland, PernixPro, vSpecialist by Jane Rimmer. Bookmark the permalink.